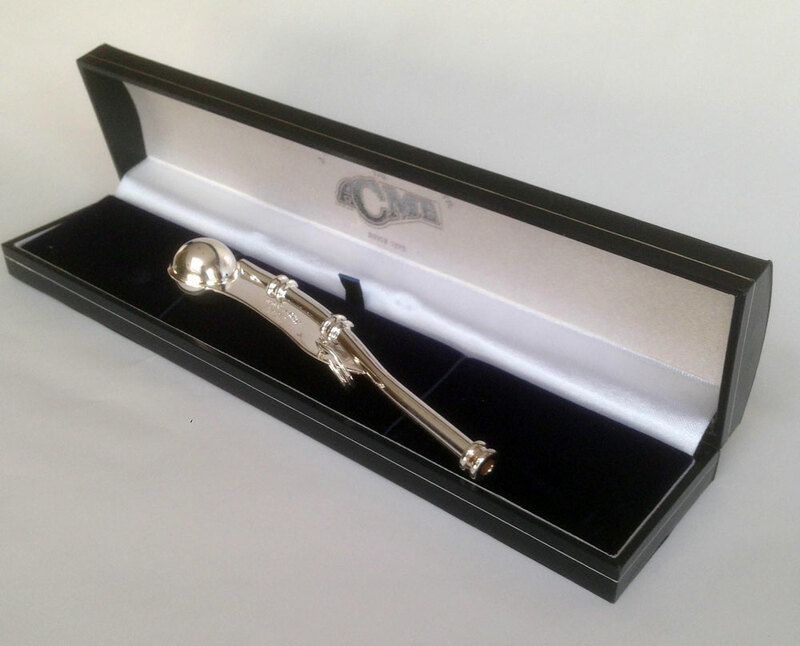 This silver-plated whistle is the perfect gift for the boater in your life. British Admiralty pattern Boatswain's (Bosun's) pipe, original Acme design 1870. Originally used for giving commands to the crew. Its high pitched notes could be heard in the worst gales. Now largely ceremonial, it is supplied with a leaflet of instructions and historical details. Whistle is made of gold-plated brass and measures 4.5" long x 1" wide (at the widest section). Comes in a handsome presentation box.